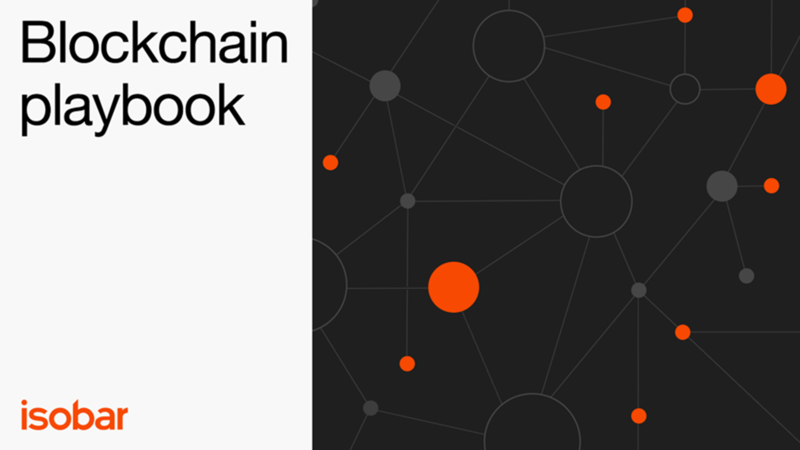 Authored by Australian Nowlab Director Robert Tilt, Isobar, has published a playbook to explain what blockchain is, the technology in practice and how it can be integrated into businesses today. The playbook unpacks blockchain’s potential impact on the global Media & Marketing industry including media supply chains, transparency, brand management and creativity, as well as explaining what marketers should do next. The playbook is available to download below. Blockchain has launched a decentralised technology revolution, with Gartner forecasting “*By 2025, the business value added by blockchain will grow to slightly over $176 billion, and then surge to exceed $3.1 trillion by 2030.” Isobar believes the potential of the technology has far reaching implications for the media and marketing industry, in areas such as supply chain, commerce, transparency and identity management. The playbook also features contributions from Vikalp Tandon, Isobar Global Chief Technology Officer, Shawn Mishra, SVP, Isobar Global Managing Partner, Isobar Commerce Practice, and Simon Gill, Isobar EMEA Chief Experience Officer, and other Dentsu Aegis Network subject matter experts. What is holding blockchain back? What should marketers do next? The information you have provided will be added to our contacts database and processed for the purpose of enabling access to the white paper / report. The online contact form is hosted and provided by a third party supplier on behalf of Isobar. Please feel free to ask questions about what happens to your personal information or let us know if you would like to withdraw your personal information by contacting us. Isobar will only keep your personal information for as long as necessary and in accordance with our Privacy Notice.